1:1 lossless DRM iTunes M4V converter to remove FairPlay DRM from M4V and edit and output to DRM-free MP4, M4V with 100% original quality preserved, including all audio tracks (5.1 Dolby), subtitles to playback on all popular media devices. 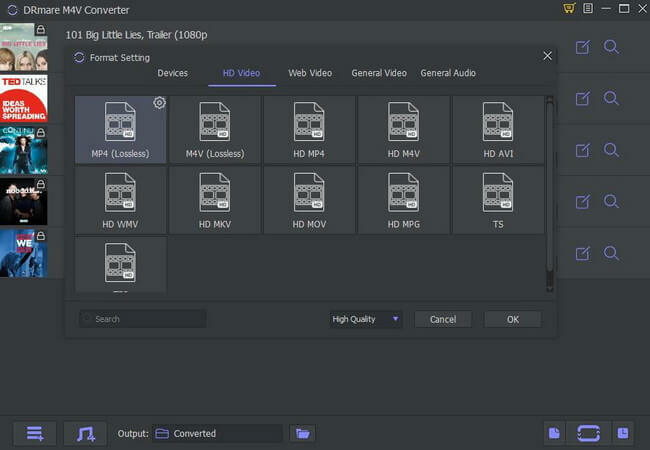 In addition, it supports multiple input and output formats such as MOV, MPEG, AVI, 3GP, WebM and so on. iTunes movies/TV shows/Extras are all encrypted by Apple's FairPlay Digital Rights Management. 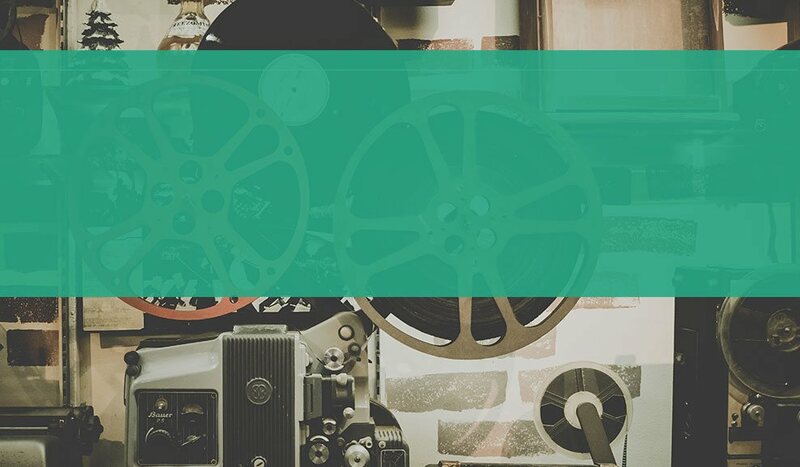 The initial purpose of DRM is supposed to protect copyright, unfortunately it brings much inconvenience to users who legally purchased the movies and want to enjoy them on more devices. If you are tired of playing iTunes movie files on only 5 devices through iTunes, you can use DRmare M4V Converter for Windows to remove DRM from iTunes videos in a legal way once and for all. DRmare M4V Converter for Windows can remove DRM from the iTunes M4V without touching original tracks and keep the M4V file format. Besides, it can convert the iTunes videos and DRM free movies to lossless MP4, M4V, MOV, AVI, WMV, MP3, M4A. Finally, it comes with a lot of preset profiles for the hottest phones, tablets, game consoles, smart TVs, such as Samsung Galaxy, LG Optimus, Google Nexus, Sony PlayStation, Windows Xbox, Sony TV, Panasonic TV etc. With the perfect compatibility, DRmare M4V Converter for Windows runs unbelievably fast on any Windows computer with XP or above systems. The converting speed is 30X faster, which is the fastest speed for removing DRM than other similar software. Moreover, it supports batch conversion, you just need to add the files and let the software to convert iTunes M4V videos without sitting in front of the computer. With this high performance iTunes DRM Converter, you can save a lot of time and efforts. DRmare M4V Converter abandoned the traditional way to bypass DRM through recording which may reduce the output video clarity and resolution, but use the most advanced technology to unlock the DRM directly and extract original M4V format of videos from the iTunes video files legally. In this way, DRmare M4V Converter for Windows can keep the 100% original quality, including AC3 5.1 Dolby audio track, multilingual subtitles and closed captions from all iTunes M4V videos including 1080P, 720P HD movies and TVs as well as 480P SD files. DRmare M4V Converter for Windows specialized in converting/Editing DRM protected iTunes videos from M4V to other formats of DRM-free videos. 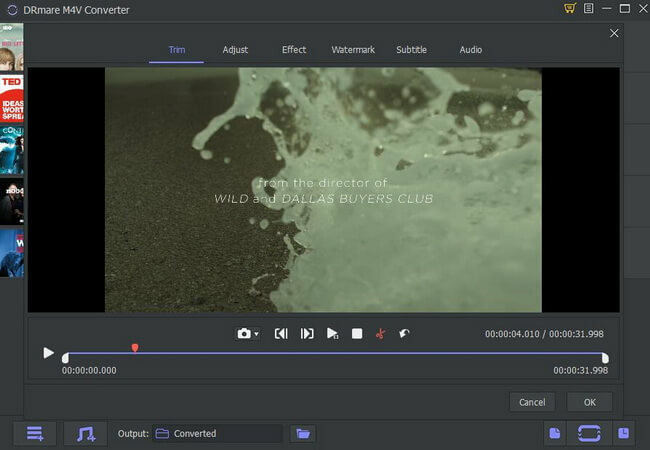 It is superior to other software for the advantages including easy-to-use interface, multiple export videos formats and devices support, fastest converting speed, 100% lossless quality retention, unique editing features like adding watermarks, audio effects, adjusting parameters. With this ultimate DRM M4V media converter, you can get into a new free digital world without worrying about DRM restrictions. Main interface of DRmare M4V Converter for Windows. Conversion window when iTunes videos are loaded successfully. 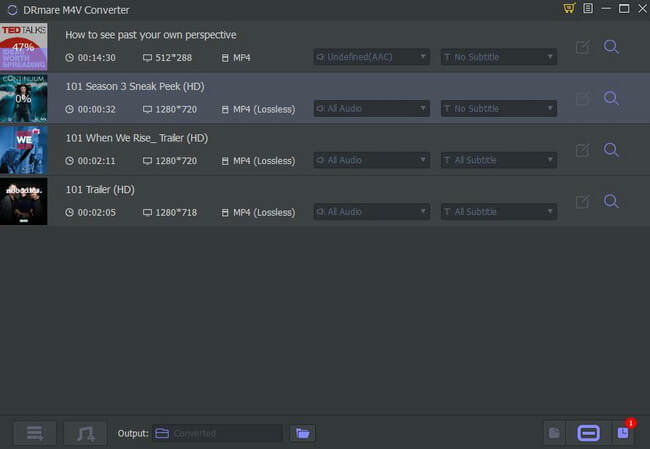 You can adjust output settings of subtitles, formats, audio tracks, etc. Cut, edit movies, add watermarks, audio effects and so on. 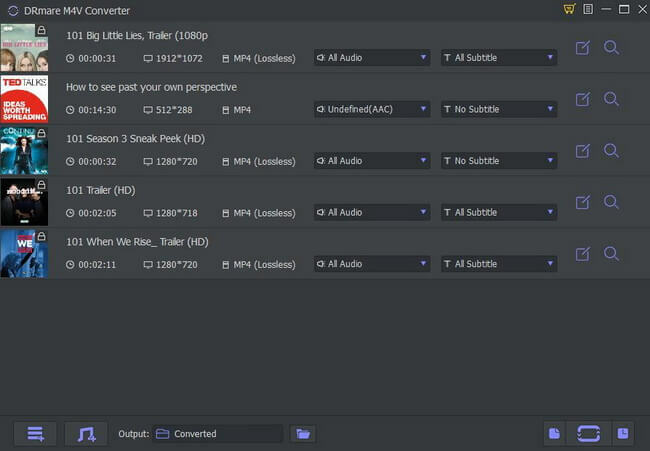 Conversion process window when converting the iTunes movies and TV shows. DRmare M4V converter is here to rescue, this tool will enable multimedia enthusiasts to play almost every file protected by DRM to any other device without harming the quality. DRmare M4V converter is the easiest way to remove DRM restrictions. It converts the video files of iTunes into the MP4 format which is supported by most of the media devices. DRmare M4V Converter is a lightweight application that lets you convert the iTunes M4V purchases with ease. 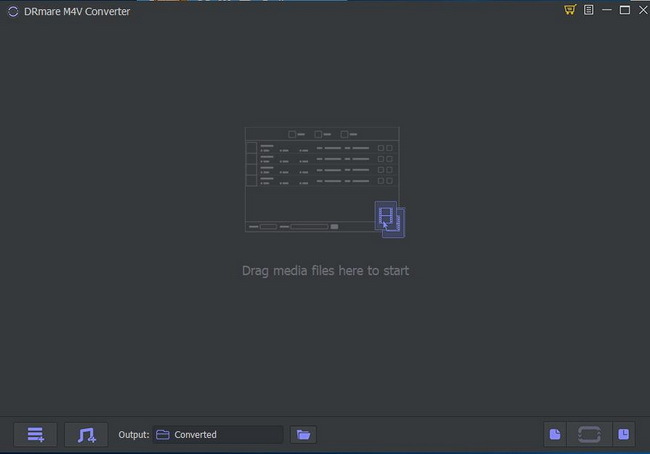 How to install DRmare M4V Converter?